The capital of the Ratankiri province in Cambodia is the disheveled little town of Ban Lung. Just outside of Ban Lung is fabled Boeng Yeak Lom, a perfectly-round crater lake renowned for its remote beauty. It sounded perfect. We just needed to figure out how to get there. Subject: Name of your website? Hi, my name's Ingrid and I'm a BIG fan of your stories. I've been reading for the past year and I try not to get so caught up while I'm at work – but sometimes I can't help it!!! Thank you for sharing so many tips. They're great. I'm thinking about an around the world trip and my friends say I should start a blog. I don't even know if I'm going or not yet!, but it's fun to think about a lot! So I thought maybe I should think about a name for my blog. But I don't know what to name it!! And how did you come up with your website name? It's one of the funniest ones I've read. I love it. Thanks so much for your sweet email – it's always fun to hear from fans of our website. We love helping out fellow travelers, and hopefully inspiring more folks to travel too, so it's great to read such kind words from readers! As to how we came up with the name of our website? To be honest, it was originally a joke. But the name stuck, and voila! Our website with the name HedgehogsWithoutBorders.com was born. Back in December 2003, Tim and I were celebrating our first Christmas as a couple together. One of the presents we got for ourselves was a little tiny Christmas tree from IKEA. We named our tree Mr. Arbor Burley and, after decking him out in little tiny lights and little tiny ornaments and surrounding him with little tiny (decorative) presents, we declared him to be absolutely perfect. Tim, however, wanted to make him just that much more perfect, and he wanted to surprise me with a little gift. So one day, while we were meeting at 30th Street Station in Philadelphia, he asked me to close my eyes and hold out my hands. I did so, and when I opened my eyes I discovered the sweetest little ornament in my hands. 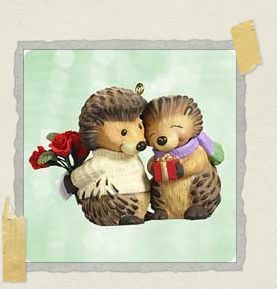 The ornament was of two hedgehogs with Christmas gifts for each other and it was absolutely adorable. We immediately knew it would be placed at the top of Mr. Arbor Burley as the "star" of our little Christmas tree. A few months later, we were walking through IKEA again (we had a thing for IKEA back then) and we happened across an entire bin of little tiny toy hedgehogs. They were about as cute as could be and only .50 cents a piece, so we bought two for ourselves (not realizing then that we would later take them on our round-the-world trip). When we got home that evening, we put the two hedgehogs next to Mr. Arbor Burley and the tiny (decorative) presents that surrounded him. At some point it occurred to us, as only those odd things can occur at odd moments in time, that it would be awfully amusing (to us, at least) to have an entire hedgehog army "guarding" the presents around Mr. Arbor Burley. This was in late 2003, remember, so we were in the thick of saving like mad for our RTW trip. We had to get our entertainment for cheap, and at .50 cents a pop, the IKEA hedgehogs were something we could actually afford. Now, I'll admit we might have gone a bit overboard when we bought forty (yes, forty!) more hedgehogs (wiping IKEA out of its entire hedgehog stock in one fell swoop); but they brought us an immense amount of joy. (We might be a touch easy to please.) And after careful deliberation, we gave one hedgehog to each of our parents, and kept the rest for ourselves, er, I mean for Mr. Arbor Burley. Fast forward a little less than a year later to sometime around October 2004. Tim and I were sitting on his beat-up red couch (which we bought for a mere $5 at a fireman's sale but sold for a whopping $8 before our RTW trip) and we're brainstorming about what we could possibly call our travel website. Keep in mind, of course, there were very very very few travel websites back in 2004 so the sky was the limit for us. Pretty much any domain name we wanted that was travel-related was available. Which, in some ways, made it that much harder. We threw out a few possible names at first, scribbling them down on a sheet of paper. But then the ideas started trickling out slower, and nothing was feeling quite right. They were all generic sounding names, not personal enough or memorable enough or "us" enough. And then – after spying the hedgehog army (who may or may not have stayed out even after our Christmas tree was put away) – Tim jokingly wrote "HedgehogsWithoutBorders.com" on the paper. We laughed about it for a bit, and decided that couldn't possibly be a real name. But then, inevitably, we found ourselves coming back again and again to that silly name. And so that is how Hedgehogs Without Borders came to be named. It was a joke, but one that stuck. And it had the added benefit of being memorable (hopefully) to others and personal (very much so) to us. Now, as to suggestions for what to name your own travel website, I'd suggest doing a similar sort of exercise. Just start naming everything that comes to mind, but think about what's important to you too while doing it. Soon enough, something will click. Or better yet, don't even worry about creating a travel blog yet. 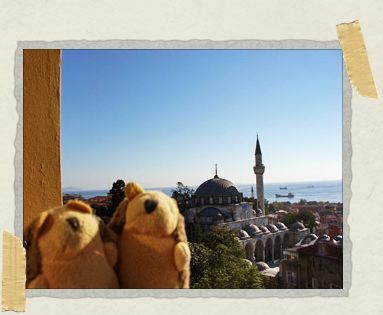 Instead, just enjoy the daydreaming part of traveling first! Do you have a travel question you're just itching to ask? Have no fear! The hedgehogs are here! Just shoot us an email via our Contact Us page and we'll be happy to help you out however we can. This is such a cute story! We loved IKEA too, especially for their cheap cafeteria lunch -– very useful when you're saving money like mad but are still afraid of your own kitchen (we can't cook, really can't. I googled 'how to bake potato' last week). We dig the IKEA cafeteria too. Nom nom nom! LOL! Ohhhh I remember that feeling all too well! My mom still happily remembers me calling her from college asking her how to boil water. When Tim and I first met, neither of us knew how to cook. One day we decided we wanted to learn, so we went to the bookstore and sat in one of the aisles with about 30 cookbooks opened around us trying to find a good introductory book with the goal to cook everything in it over the next year. That was eight years ago, and we never did finish all of the recipes in that book…but now we both *love* to cook together. It's actually one of our favorite things to do! So you never know, it could happen to you guys too! omg, i love love LOVE ur website! my rtw isn't till 2013 soonest, but i know I'm going to spend like all my time here till then! and this story is soooo super cute! u guys are 2 2 2 funny! 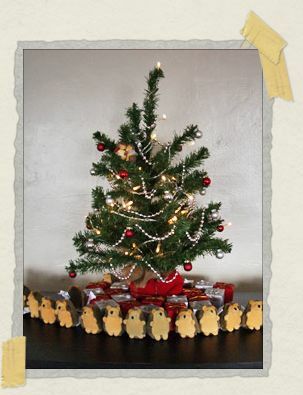 also the christmas hedghogs r so cute i almost died! Hey Christina! Thanks for stopping by, and thanks for the sweet comments too! That's great that you're planning a RTW trip of your own. Best of luck to you with it, and let us know if you have any questions along the way. We're always happy to help! I loved reading this post! Those IKEA hedgehogs are so cute! My 9 year old daughter had one that she loved and brought everywhere. She gets medical procedures done quite regularly, and she always brought "Mr. Hedgehog" along with her. Just recently she left him in the hotel room while on vacation in Florida. After calling around we concluded that he was gone. My daughter is pretty devastated about this because she does have a medical procedure in a few weeks– the first without her beloved hedgehog. I was wondering, if, because you have so many, whether I could purchase 1 from you. I have searched etsy, ebay, Amazon, Craigslist, etc. but nobody has a hedgehog for sale! I would be willing to pay a fair amount for it, because it is so hard to find! My email is proud_mom197025@yahoo.com if you would like to contact me to discuss this further. Please let me know either way! Of course we can send your daughter a hedgehog! We would be honored. And there's absolutely no need to pay for the hedgie either – it's our pleasure to help. I'll drop you an email so we can nab your address and get "Mr. Hedgehog 2.0" in the mail to you right away! I will keep an eye out for your email!